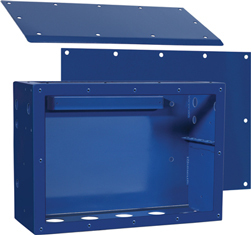 Empty junction box for EMD-D79 series motor; bolt-on connections capable; no internal parts; painted color: national blue; mild steel construction. Stainless steel construction available for extra cost. Stainless steel construction available for extra cost. 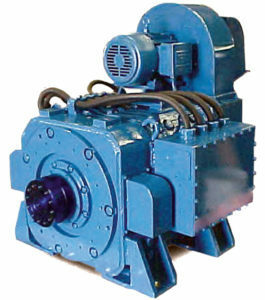 For 535 MCM Cable on 1000 HP Traction Motors (any brand). Extra heavy duty, silver plated; a space for holding wrench when tightening. 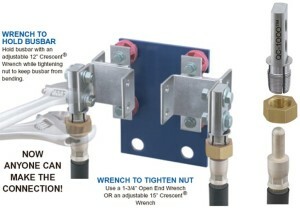 The tightening nut is heavy duty as well – a full 1/4” thicker. Now all of your drilling or mud pump equipment can be de-electrified in more than half the time as standard bolt-on connectors.